[Updated] Emergency services responded to South Road in Paget at approximately 6.30am this morning [June 11] after a woman was found injured on the side of the road after an apparent collision. 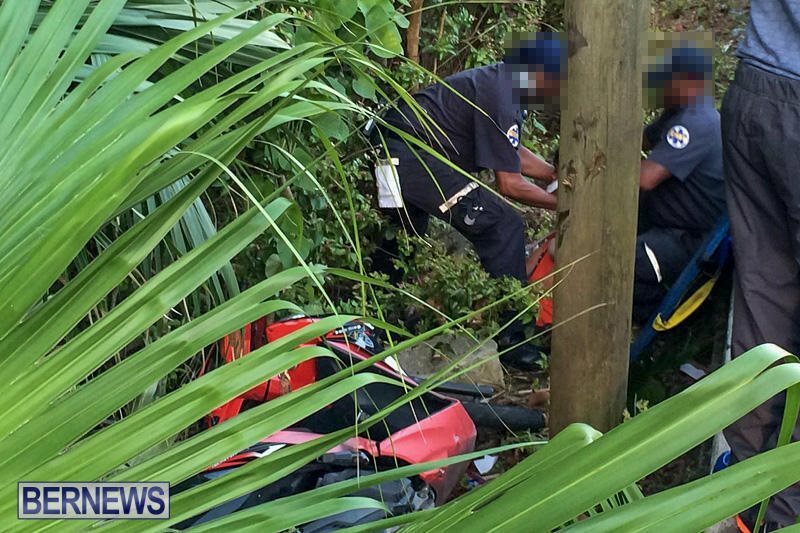 A commuter was travelling past when he saw a damaged bike and woman laying in the brush. He and others stopped to assist and called emergency personnel. 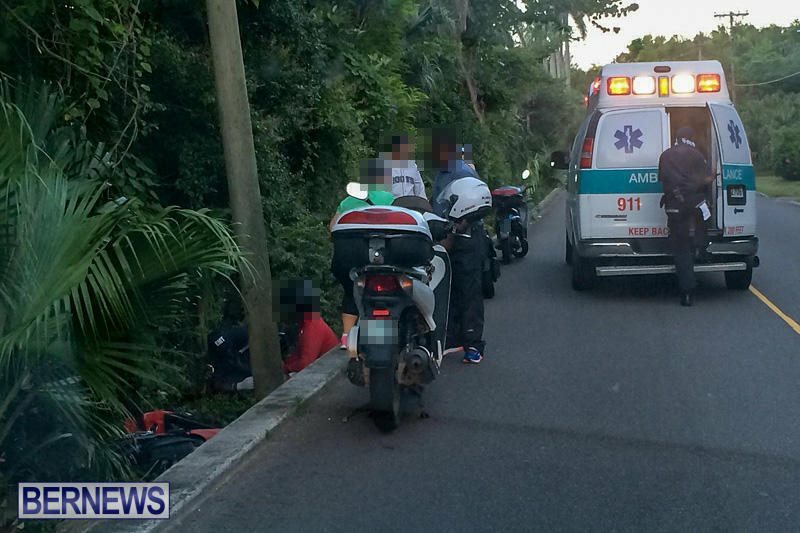 The woman was then transported by ambulance to King Edward Memorial Hospital for treatment. Further details are limited at this time, however we will update as able. 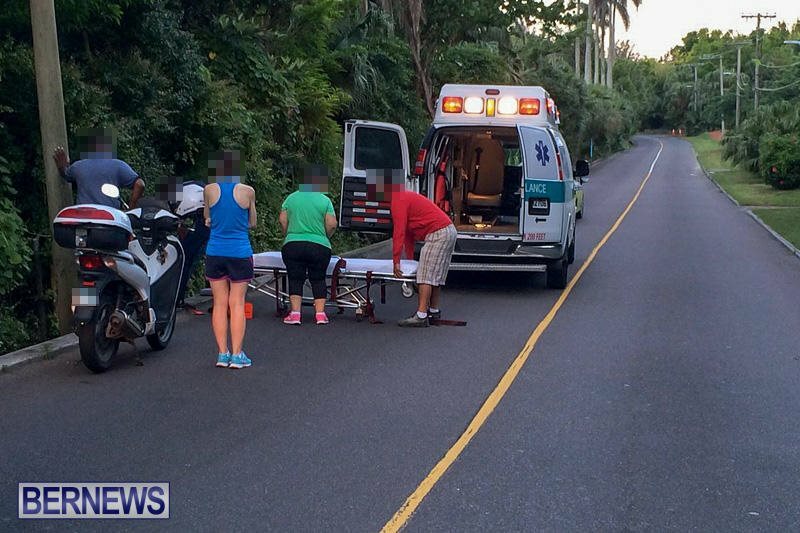 “Police and first responders attended a report of an incident that took place on South Road in Paget 200 meters west of Elbow Beach [Public Entrance] at 6:23am Saturday morning,” Mr Caines said. 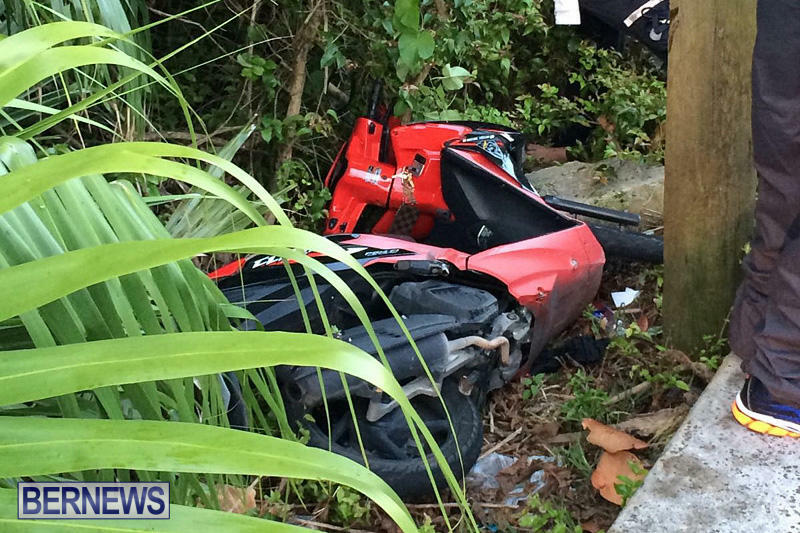 “Details are sketchy at this point but it appears that a 44-year-woman lost control of her motorcycle and went over an embankment. 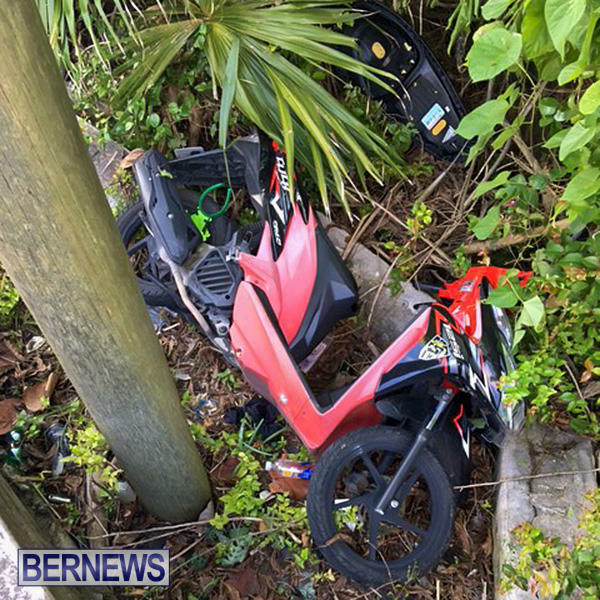 Update June 12, 8.41am: The police confirmed that the woman involved in this collision is now on a general ward at the hospital. I hope that she and her family get thru this okay. Wishing you a speedy recovery whoever you are. 1000′s of people drive that corner every day without incident. An accident happens and you blame the lack of a reflected fence.. why don’t you just donate the money, or better yet build it yourself? Hope the lady recovers quickly!! Thousands of speed abiding, focused drivers and riders pass that spot daily without incident.. If your statement is correct then Gov’t should be looking to fix thousands of curbs and corners. Bermuda roads require your full attention and limited speed, any deviation from this elevates your chances, dramatically, of getting into trouble. I wish her a speedy recovery. Exactly, that corner is one of the few corners in Bermuda where the camber of the road is correct. I have ridden and driven down the hill and around the left bend at high rates of speed and there is no reason, short of a vehicle failure that you should end up in the trees. With that being said, I do wish her a speedy recovery. I agree that high rate of speed is likely to often be the cause of accidents at that spot, but it’s not the only reason short of vehicle failure, particularly where a bike is involved. The roads could be slick with morning dew and she had to brake suddenly to avoid a cat or chicken causing her to slide out. You never know. If it had a curb or a fence she would have hit that, so what’s the difference? People take that corner too fast I’m afraid, although I’m not saying that happened in this case. I do hope she has a swift recovery. wow that RTA scene is no joke. feel bad for the victim. I agree, horrible stretch of road, but we all know that, I firmly believe our driving habits are causing these disasters! In order to cut down on the amount of accidents on that corner that corner needs to be pitched toward the inside. Right now the road is pitched in the direction where many accident victims end up. Towards that embankment. No it isn’t. The camber of the road in that corner is correct. It was fixed many years ago. Maybe she fell asleep it would not be the first time it has happened to someone. Prayers and comfort for the victim and her loved ones, we don’t know the state of mind nor the situation but trust in the power of prayer. God by your mercy and grace may you touch this young woman’s body and heal every area of her body that has been injured, may your healing hand keep her safe and give her the recovery that only you can, we ask this in Jesus name amen.